Your Local Studio Raleigh is conveniently located to serve the greater Triangle area for all business video needs. Our Raleigh location has a fully equipped green screen video studio and two editing stations, ready to be operated by our talented video team. What are some of the type of videos we create here? Using our Signature or Express video process, have one of our producers walk you through the script & storyboard creation, provide coaching during your video recording, and manage all of the editing & post-production. Most videos are online within 48 hours! Or you can simply schedule a studio recording session or editing session as a do-it-together video production service where you manage the outcome with a simple hourly-based project. Only pay for the time you use! 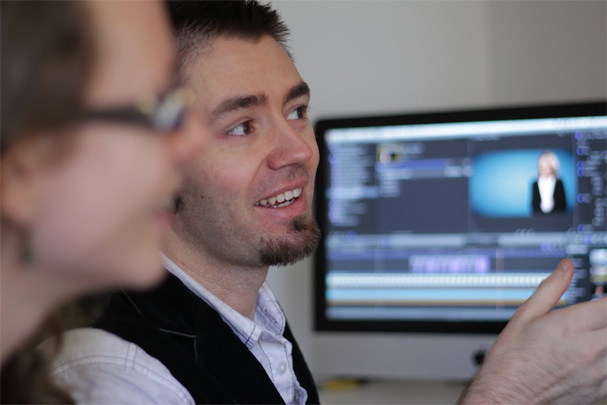 Quick, simple and affordable – that’s how we like to make video production work for you. Give Your Local Studio Raleigh a call – we’re looking forward to making your video!